CurlON launched “Hit Draw Tap” in the 2015-2016 season. It was an instant success – over 450 kids participated in the first year! Hit Draw Tap is modeled after the NFL’s Punt Kick Pass or Master’s Golf – Drive, Chip, Putt. Since then the event has spread across Canada with competitions being held in Manitoba, Alberta, Saskatchewan, Quebec and Northern Ontario. 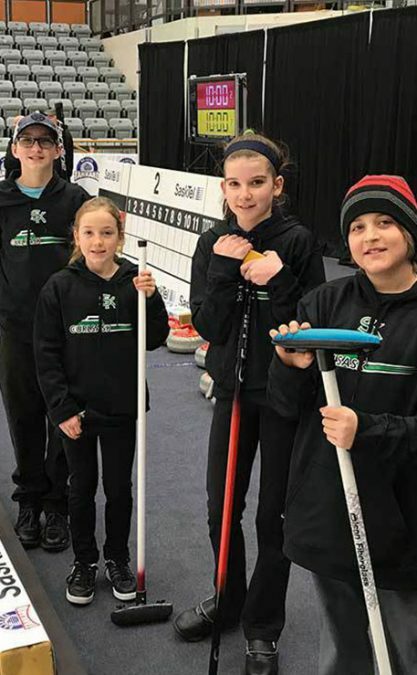 In 2018-2019, Curling Canada is launching Hit Draw Tap as a national program. Hit Draw Tap or “HDT,” as we like to call it, is a youth skills competition where kids age 6-13 compete as individuals. HDT will group kids into three different age categories, and perform three different shots – a “Hit,” a “Draw” and a “Tap.” The difficulty of the skills are modified based on the age of the child. Each province/territory will run their HDT competitions a little differently – parents and participants should check with their Member Association’s website for event details. If you’re already a curler, bring a friend, they don’t need to be a curler or member of a club to compete in the championship! In fact, we’re pretty sure that once they try it, they’ll want to join.